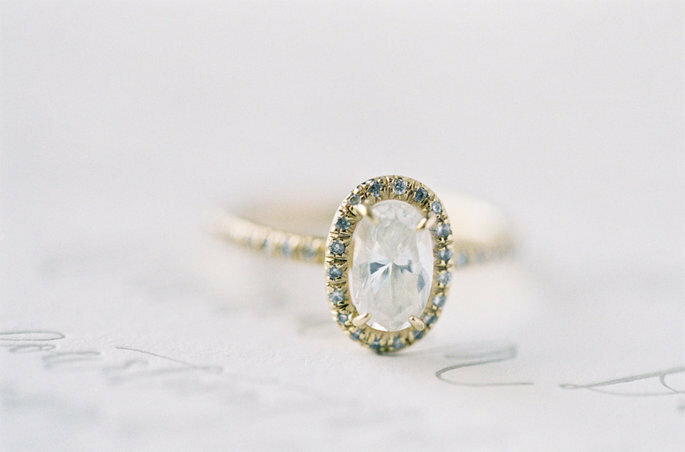 Your engagement ring should be a surprise. But the person responsible for choosing it cannot do so blindly, nor should they be swayed by the opinions of someone who does not know the bride, or what she likes. It’s a good idea to speak with professionals and people close to you, but there’s a lot of things to consider before making a decision. This piece of jewellery has to be unique, because, in principal, it will be a lifelong attachment for your other half, as well as an important representation of a key moment in your relationship. So to make sure that you choose well, keep reading and discover how to do so in only five easy steps. Before tackling any part of a wedding, it is a good idea to be realistic about what you can afford. It’s absolutely necessary to make an estimate of how much the wedding is going to cost before you buy anything. 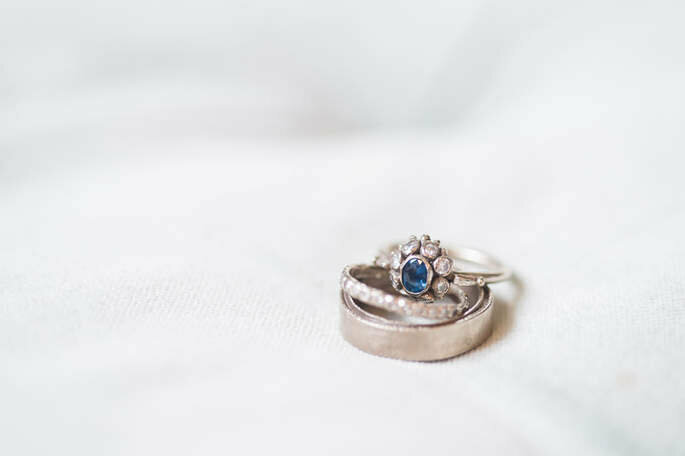 After all, an engagement ring is only the first expenditure of the event – after it is when it starts to get expensive. Ask around about the average price of an engagement ring, and think about how much of your overall budget you are willing to put aside to contribute to this one thing, as the stone is the feature that most strongly affects how much the ring itself will cost. You shouldn’t just go window shopping and choose the strongest and most valuable gem that you can find if you can’t reasonably afford it. You don’t have to prove yourself to anyone – not to your partner, nor to anyone else. The only important thing is that the ring represents your love, and the details of the ring are therein far more significant – it is the emotional weight, not the financial expenditure that will get you the response you want. Even if you have the money, think about being cautious, and bear in mind the costs yet to come. Personality is one of the most important characteristics in a wedding. We have always talked about the importance of having a unique style, and your big day is the probably the only moment you’ll have in your life to really have it all your way. 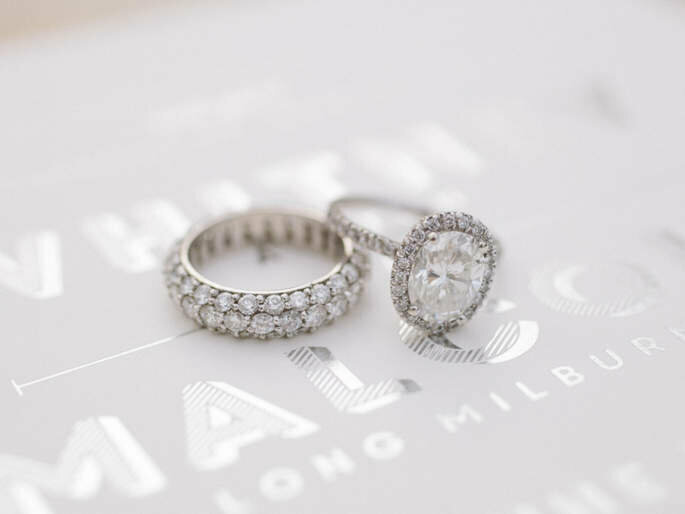 As such, in the same way that we recommend our brides to avoid disguising themselves too much behind their makeup, an engagement ring should really reveal who you are. If you’re planning to ask someone to marry you, it’s clear that you already know their likes and tastes, and the little details that make their world special, those small things that make something completely irresistible to them. 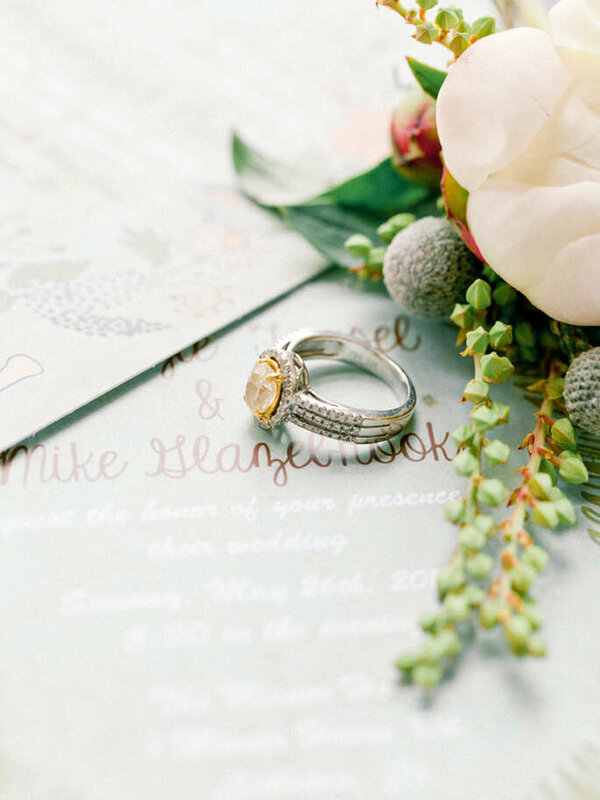 So why forget about this when it comes to your wedding ring? You shouldn’t buy an engagement ring that’s too simple or too ostentatious if the person you’re asking to marry you doesn’t enjoy this style. Use your common sense if your partner doesn’t have a particular predilection towards a certain kind of jewellery; go all out if you know that’s really important to your other half. Although the beauty of the stone is really significant when you’re choosing the winning ring, durability has to be considered in the same way. You should really look at whether the ring will stay intact during the rest of your partner’s life, or if there’s a risk that it will start to fall apart in years to come. Scratches and dirt can ruin a ring forever, and so you should consider stone maintenance as well as cost. 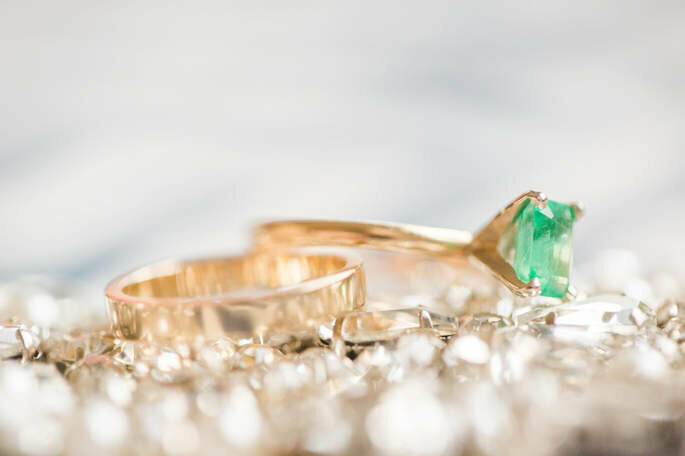 It’s a good idea to read up on the world of gems and stones, starting with evaluating which are most durable, and which can offer the ‘yes’ that you want! Durability is measured through the Mohs scale. On this scale, you can check out the relative lifespan of a stone, or how resistant it is to other materials. It works on a scale from one to ten, from talc, the weakest of all stones, to diamond, the strongest. Bearing this in mind, a good choice would be a diamond, a sapphire, or a ruby, as aside from being gorgeous stones, these all also rank either a nine or a ten on the Mohs scale. For many couples, it is really important to place a level of symbolism onto all aspects of their wedding and relationship. 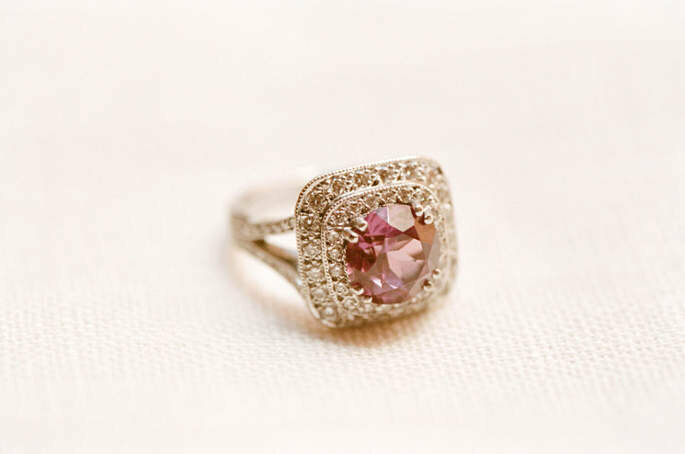 Whether it is because of tradition, superstition, or as an anecdote, the stone chosen for an engagement ring is bound to the meaning behind it. For example, a diamond – the brightest stone, which can only be scratched by other stones – represents perfection, willpower, triumph, steadfastness, and integrity. Sapphire, shown as a blue and enigmatic source of purity, possesses the title “the stone of success, truth, and wisdom”, and, differently to a diamond, supposedly elevates consciousness. No wonder the Royal family have used one for two generations now! But there is a lot more to it, and not all brides will be that concerned about the symbolic characteristics of a stone, and so you may want to look at other, more original options. In this case, you can look at semiprecious stones, true wonders that will not break the bank. A turquoise stone, for example, symbolises friendship – and is said to attract wealth, success, and love – and an amethyst is said to be a spiritual gem, representing protection, and attracting positive energy. Our advice in this realm of organising a wedding is always the same: be yourself. Don’t let yourself be guided too far in one direction or another by the opinions of family, friends or experts: use them for ideas or information, but nothing more. If you’re the person charged with buying the engagement ring, try to go by your partner’s likes and tastes. Be loyal to her and your relationship, and don’t feel pressured by the material worth of the ring – what is important is what it means. If you are the girlfriend – and hopefully the fiancée soon! – don’t pretend to like the stone if you don’t feel it suits you, or if it’s a big departure from your personality. Try and drop hints to your partner, and make sure the end product is what you want. After all, you’ll be wearing it for the rest of your life! Finally, bear in mind that an engagement ring isn’t the only option you have when proposing. There are other pieces of jewellery that can work to the same end, and are a much better representation of the person in question, and of your love. But if an engagement ring with a big shiny stone is your preferred option, don’t forget to follow our advice! Check out our video on Youtube for more advice!